"Like always I left happy and very satisfied." "A friend referred me here and I am so glad she did. Dr Assif is AMAZING!" 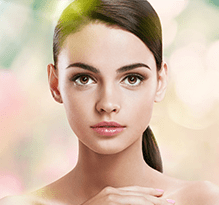 "I have seen this doctor for fillers and botox and I love the results and pricing." "I met with Dr Assif and Nada at their Tustin Medspa, I love this office." "O de Rose Med Spa is amazing." "Knowledgeable staff, amazing results! I truly loved the care and expertise." "This is a must visit med spa when I have to go to Southern California." "Dr. Assif and Nada are wonderful. They have been extremely accommodating." 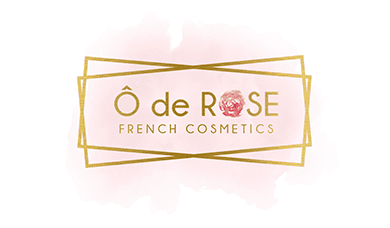 "Do yourselves and your faces a favor and come to O De Rose. You won't be disappointed!" "Been coming here for almost 2 years now! Beyond satisfied with Dr. Assif's work!" We are a private, anxiety-free medical spa in Tustin CA. Our services focus on a conservative, minimally invasive procedures that produce stunning results. You can expect customized treatments that specifically lead to optimal long lasting results. Our medical director, Dr. Assif is a hands-on doctor dedicated to enhancing and rejuvenating your appearance without sacrificing your natural characteristics. 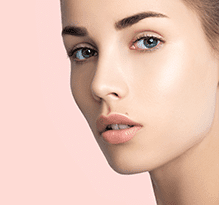 Ô de Rose Med Spa is a private, premier Orange County medical spa in Tustin, California, offering the highest quality of minimally invasive treatments that help each patient refresh their appearance. The extensively trained medical staff specializes in customizing conservative, non-surgical treatments that produce stunning outcomes without compromising a patient’s natural beauty and characteristics. 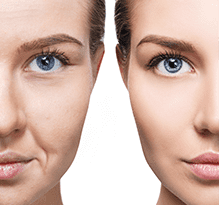 Through this process, medical director Ahmed Assif, MD, national trainer and injector, and medical aesthetician Nada Rami help their patients obtain a rejuvenated, more youthful version of themselves. Services include a wide variety of skin treatments, such as laser hair removal, microneedling, chemical peels, and laser skin tightening. They also offer non-surgical facelifts like PRP (platelet rich plasma) facelifts — also known as the “vampire facial” — and the NovaThread lift. 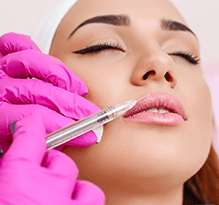 The medical staff also performs injectable treatments such as Botox®/Dysport®, fillers, Juvederm® — Voluma® and Volbella® — Sculptra®, Bellafill®, and Kybella®. Ô de Rose Med Spa’s extensive menu of treatments also includes HCG injections for weight loss, vitamin injections, and men’s and women’s wellness services. The medical spa welcomes new patients. Book a consultation at the Tustin, California, practice online or call today. Kybella® is the most effective medicine for permanently destroying fat cells underneath the chin. It is a nonsurgical procedure that eliminates "double chins" and improves the profile appearance. 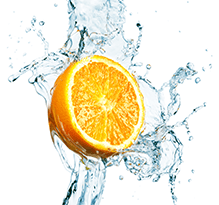 AquaGold® has become one of the most new popular facials, and is known for creating perfect skin. This product has a “fine touch” micro channel system which painlessly delivers beauty treatments at the ideal depth beneath the skin, for maximum effects. Vitamindrip® is an effective solution for treating dehydration, asthma attacks, fatigue, severe migraines cardio vascular disease, fibromyalgia, muscle spasms, respiratory tract infections, chronic sinusitis, allergic rhinitis, and several other disorders. "Both Nada and Dr. Assif were very attentive. I signed a few documents and within minutes I was getting multiple injections in many areas of my forehead." "Nada, the medical aesthetician, is such a sweetheart and super friendly. "Happy with the people and the price. Clearly they have years of experience. Nada is so helpful and I never felt pressure to do more than I asked for." "Nada and Dr. Assif are attentive, professional and accommodating. They treat you like their family. Pricing at the O De Rose Med Spa are reasonable for the services." "I originally was enticed to come on from a heck of a deal off Groupon. I ended up falling in love! The decor when you walk in is super chic and appealing." "Came here for a second time and I love the Doctor and Nada. The office is so cute and the chocolate kisses make everything so worth it." "Been to this office a few times now to Botox and I love Dr. Assif and his wife! He is very sweet in explaining and havs fun advice to lighten the mood." "My skin looks amazing! Thank you Nada for keeping me looking young!"